On July 1, 2014 Monroe County Emergency Medical Service (EMS) celebrated its fortieth (40th) anniversary. Its top notch team, operating under the rules of the State EMS Board, has satisfied the requirements to be among Services able to deliver “Advanced Life Support” to residents and visitors throughout Monroe County’s 635 Square Miles (the 6th largest of Tennessee’s 95 counties). Since its beginning on July 1 of 1974 the Service has seen a steady increase in calls. For 2014, projections call for Monroe County EMS to respond to more than 10,000 calls. To properly serve the County, the team operates its eight ambulances from Stations in Madisonville, Sweetwater, Tellico Plains and Vonore. Stations are staffed by a mix of Critical Care Paramedics, Paramedics and Advanced EMTs, twenty-four hours a day, three-hundred-sixty-five days a year. 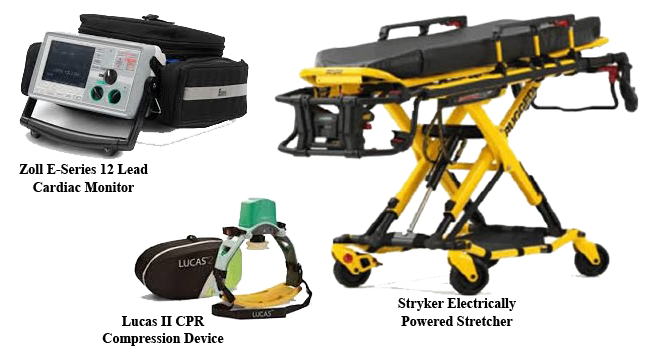 In addition to ongoing training of its dedicated staff, in recent years, your EMS has added new Zoll E-Series 12 Lead Cardiac Monitors, Lucas II CPR Compression Devices and Stryker Electrically Powered Stretchers to its list of life saving Equipment. In this new decade, we rededicate ourselves to meeting that commitment, and to ensuring that we maintain an ideal balance in the application of technology, training, and devotion to duty. We refuse to allow the service we deliver to be second to any. By its nature, EMS service is a personal one…delivered in times of extreme need. As residents, we serve family, neighbors, colleagues, and visitors to Monroe County. Everyone gets our best every day (24x7x365)! Listening is key optimizing care…and Monroe County EMS is listening. To offer your observations, click on the “Contact” button at the top of this page. You will be directed to a simple feedback form. Just select EMS from the drop-down list of “Desired Department Addressees.” Monroe County EMS looks forward to hearing from you. for Part Time Paramedics and EMTs. any time day or night dial 911.